Where do I use my SensatioNail voucher code? Copy a code from the SensatioNail deals page here at NetVoucherCodes. Follow the link to the SensatioNail website. Once you’re finished, click on ‘My Basket’. Here you can paste your copied discount code into the box provided and click ‘Apply Discount’ to watch your total price reduce. Looking for a manicure set that you can do at your own time in the comfort of your own home? Then Sensationail could be just what you are looking for. The SensatioNail manicures are easy to achieve and look amazing with a high gloss finish and hard to chip, meaning that you can keep your manicure looking in top shape for longer. You can buy the product that is best for your needs as SensatioNail has been in the business of nails for many years, so whether this is your first time and you are in need of a starter kit or whether you are a bit of a pro and taking it to the next level with a nail art kit, you can be sure to find a top quality product providing you with all the necessary items you need to create beautiful nails in no time. Be sure to check for a SensatioNail discount code prior to ordering, as using one will save you money on your order. 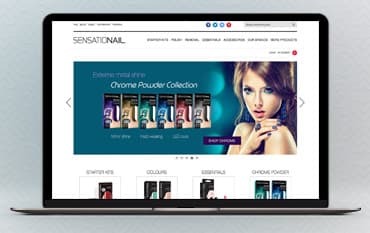 At SensatioNail you can order different colours of gel polishes if you already have the nail lamp, mixing pot, nail buffer and so on, so you don't have to buy the complete kit each time. Once you are set to go you can then add to your collection with the many colours they have in stock from French Polish Gels to Glitter Gels, there will be a colour to suit your outfit and personality. The kits are a great way to get up and running though, as they have everything you need to create that gorgeous, chip-free manicure - plus all kits come with free delivery and some SensatioNail kits also include a free gel nail polish too! If you are new to the world of gel polish and are just used to painting your nails with a nail varnish and blowing on your fingernails until dry, then using a lamp during the process may seem a little strange at first. With the SensatioNail start kits, there is a SensatioNail LED gel nail lamp included with your kit, plus all the other necessary items to ensure you can get started straight away on creating a beautiful set of pretty nails! The lamp cures in just 30 seconds, making for a speedy manicure! It features grooves, so you know exactly where to place your fingers, the plates are removable if you wish to do a pedicure, it is automatic - so as soon as you place fingers or toes in it switches itself on and a USB port allowing you to charge the lamp from a USB port - that's a pretty impressive lamp and once you have finished your manicure/pedicure you can enjoy chip free, smudge free nails for up to 2 weeks. SensatioNail's superb nail polish kits, gels and accessories are ideal for vibrant, long-lasting colour that can take a few knocks. With their special gel nail polish formula and great deals on starter kits, they're the perfect choice for anyone looking for cute cuticles. Grab one of our SensatioNail voucher codes and treat your nails to a new look. You can also claim free delivery if your order amounts to £30 or more.